One of the features I would like to see in a FortiGate is the ability to automatically create backups and copy them to offline storage. Of course, this can be accomplished by adding FortiManager to the solution, but why would I need FortiManager if I only have one FortiGate (cluster). 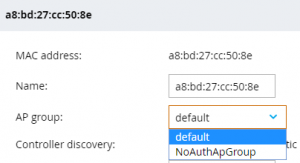 Another option would be using scripts, like Python or PowerShell, with scheduled tasks on servers to pull a backup from the FortiGate firewalls. A very basic option would be the usage of system auto-script in FortiOS 5.4 and higher. Use this command to create CLI command scripts that can be saved and run. This gives you the possibility to auto-script the execute backup full-config commando. A disadvantage of this command is that you only have the option to use (T)FTP. There is no option to use a secure protocol like SFTP. The example executes the backup command and sends the backup via TFTP to the TFTP server. 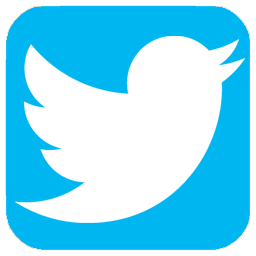 The script runs every 24 hours (86400 seconds). It repeats infinite and starts automatically. The script can also be configured via the GUI (Global >> System >> Advanced >> Configuration Scripts). More information about the feature can be found here. 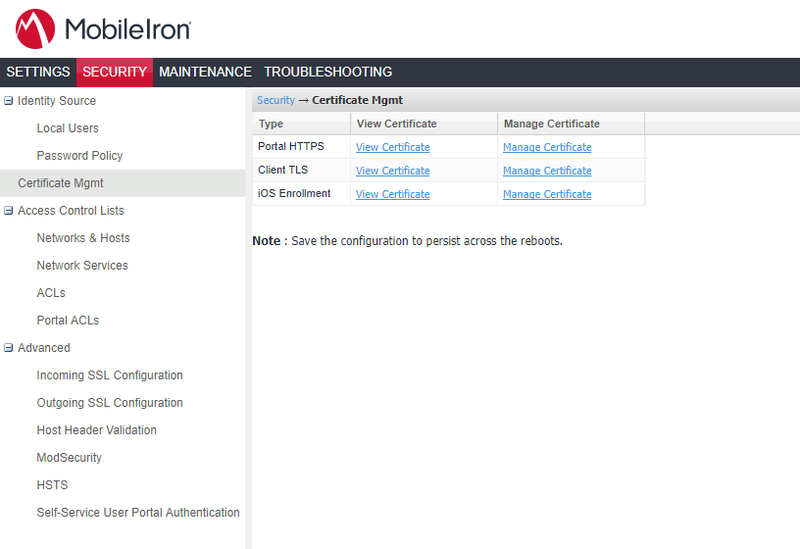 Something completely different: changing the SSL certificate on MobileIron Core and Sentry. In total, I had to replace 5 certificates. 4 certificates are replaced via the Core web interface and 1 certificate needs to be replaced via the Sentry web interface. Within the Core web interface you have to change the certificated in two separate interfaces. The process of replacing the certificate is the same for all 5 certificates. You only need to be careful to upload the correct certificates. In my situation, users are connecting to two different FQDNs. 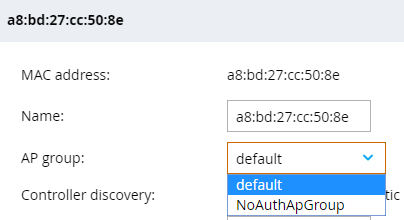 One FQDN is pointing to the Core and is used to sign in to MobileIron and register a device. The second FQDN points to Sentry and is used for client connections from the mobile device, like Outlook Sync or Web@Work. 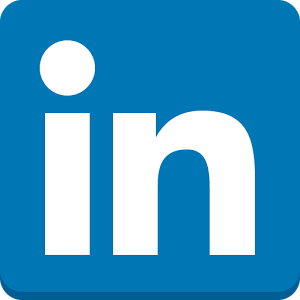 I upload the certificate with the Sentry FQDN to the Sentry option on the Core web interface and within the Sentry web interface and I upload the Core certificate within the Core System Manager web interface. 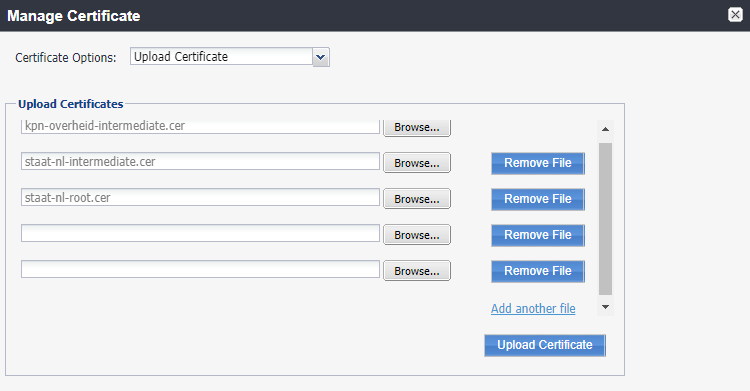 I upload all certificates separately when choosing Manage Certificate like shown in the image. Hit Upload Certificate when you choose all the necessary files. 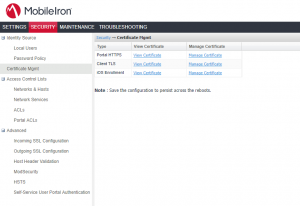 MobileIron starts uploading the certificates, is “smart” enough to combine all certificates, replaces the certificate for the specific service and restarts the service. This could result in a short interruption of production. After this, the SSL certificate is successfully replaced.